You can create own custom discussions reports. 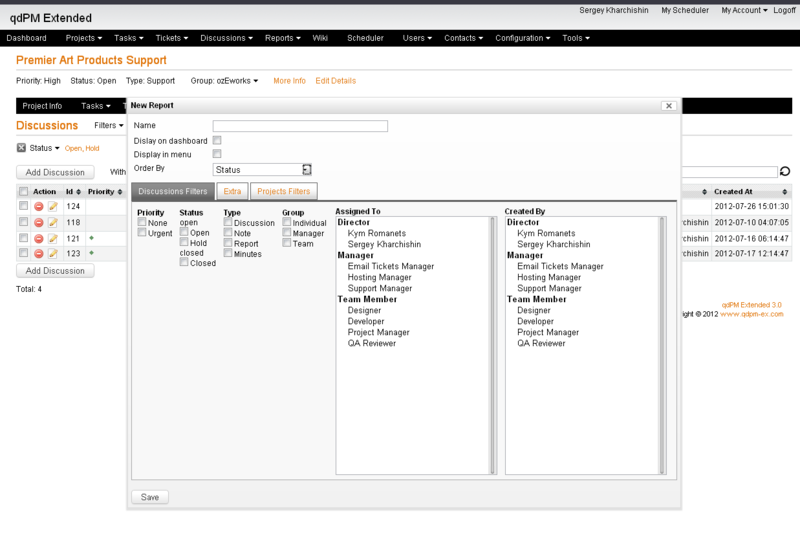 Allows you display report result on home dashboard. Allows you display report name in top menu to quick report access. You can confgure items sort order in listing of report. Allows you filter by priority. Allows you filter by status. Allows you filter by type. Allows you filter by group. Allows you filter discussions by assigned users. Allows you filter discussions by users who created it.